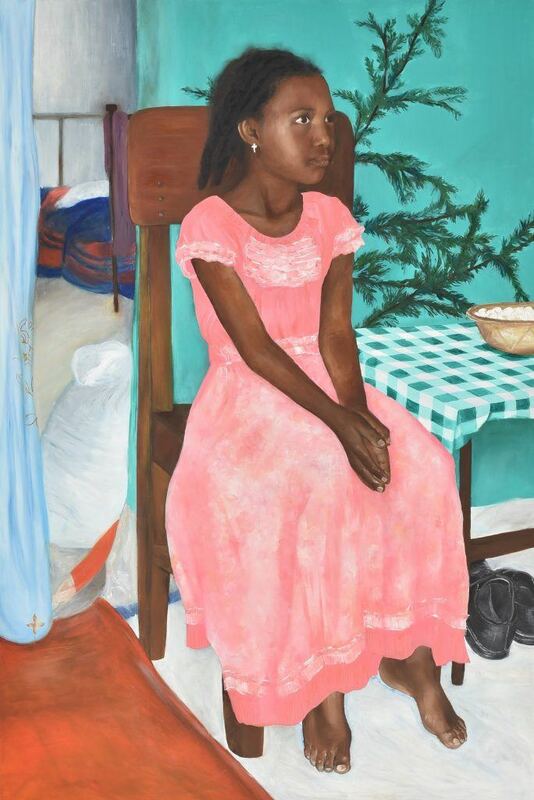 London-based British artist Catherine Chambers’ portrait of her Ethiopian friend, Girma, is currently on display at the Royal Academy Summer Show, which runs until 19th August. 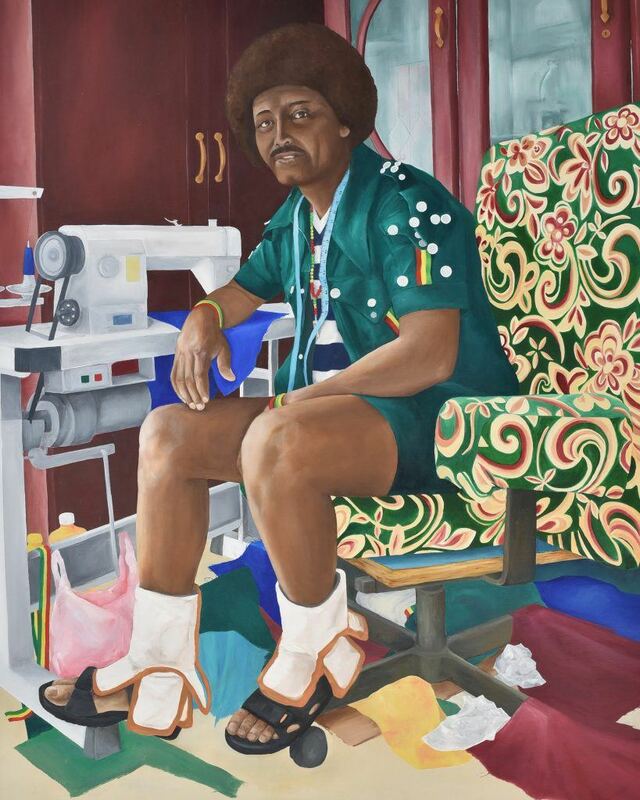 Girma is a tailor from Ethiopia’s historic city of Lalibela, which has become Catherine’s second home due to her frequent visits and links with the local community. Now in its 250th anniversary, the exhibition displays works in a variety of mediums and genres by emerging and established artists. This year’s edition is curated by Grayson Perry RA and will be the biggest in its history with over 1,200 works on display. 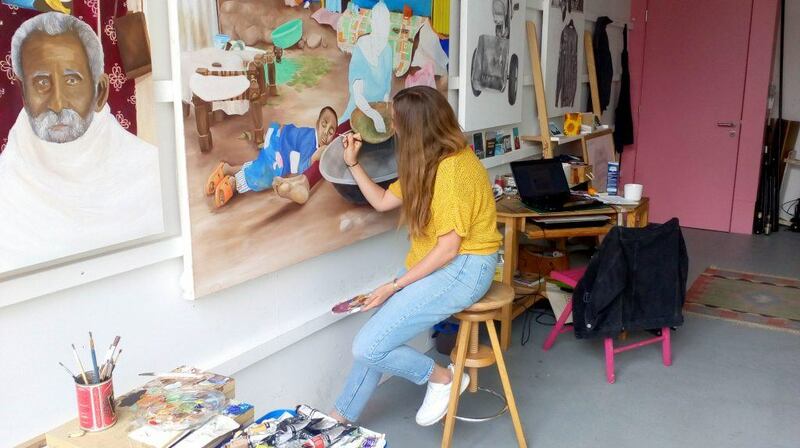 In an exclusive with the Embassy, Catherine told us that she is inspired by the environment around her and spending much of her time in Ethiopia, naturally many of her paintings involve her friends there. “My degree is in drawing and I used to work solely in pencil, I liked colour and appreciated painters but had not found the inspiration or confidence to work in this way…After university I visited Uganda, where the bright bold use of colour completely woke me up. I came back to England desperate to use such colours but did not have a subject I was truly passionate about,” she said. Catherine then planned a trip to travel through Africa, with Ethiopia being her starting point down to South Africa. Two weeks turned into a month, then I left but only reached as far as Tanzania before turning back to spend another 3 months exploring Ethiopia! In this time, I made friends that are as dear to me as family, and a second home in Lalibela, where I visit as often as possible now,” she added. During her time in Ethiopia, Catherine explored the art scene there where she has many artist friends. In 2017, she curated the exhibition “Peace” at the Italian Cultural Institute for three Ethiopian artists. 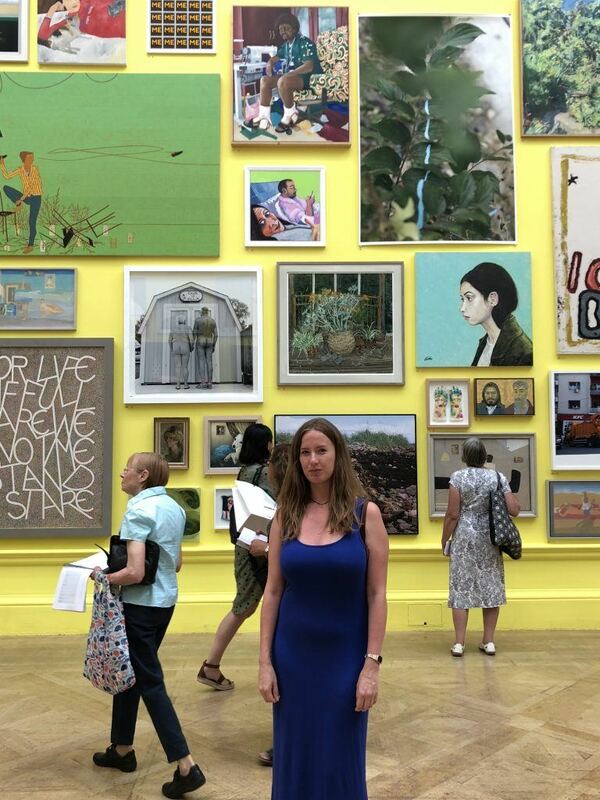 Catherine at the Summer Exhibition with her painting of Girma at the top, in the main room, Grayson Perry’s yellow room. The RA Summer Exhibition runs daily from 12th June – 19th August 2018, 10am – 6pm, and 10am – 10pm on Fridays, at the Royal Academy of Arts. Tickets: £18 (without donation £16). Concessions available. Under-16s go free with a fee-paying adult. For more information, visit bit.ly/RASummer18.